Humble Yourself (or God will do it for you) | who am i? Even though I’d never seen it before, I believe it expresses a basic biblical principle: “God opposes the proud, but gives grace to the humble” (James 4:6). When we’re proud, God opposes us; he becomes our adversary. You might think you can successfully oppose God. You may even deny his existence. But in reality, your arms are too short to box with God. You’re going to lose every match. The tragic irony of that fact is this: hearing it only makes some people even angrier at God, or more persistent in their denial of him. 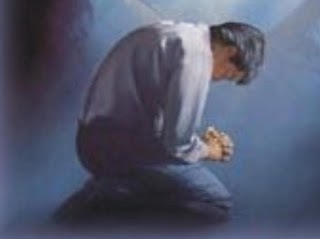 Clothe yourselves, all of you, with humility toward one another, for “God opposes the proud but gives grace to the humble.” Humble yourselves, therefore, under the mighty hand of God so that at the proper time he may exalt you, casting all your anxieties on him, because he cares for you (1 Peter 5:5-7). If we humble ourselves, God will exalt us in due time. However, the opposite is also true. If we assume God’s role and exalt ourselves, then He will assume our role, and humble us. In fact, the Bible contains several examples of proud men being humbled. One of the most dramatic is the story of Nebuchadnezzar, king of Babylon. When he became proud of the kingdom he’d built (in spite of clear advance warning not to be), God humbled him. For a while, as a direct result of his arrogance, he lived with the beasts of the field and ate grass like an ox. You can read the complete account in Daniel 4. But there’s another story, both heartbreaking and beautiful, found at the other end of the spectrum. A man with no pride of his own subjected himself to profound humiliation to set undeserving sinners like us free from our slavery to pride and unbelief. Have this mind among yourselves, which is yours in Christ Jesus, who, though he was in the form of God, did not count equality with God a thing to be grasped, but made himself nothing, taking the form of a servant, being born in the likeness of men. And being found in human form, he humbled himself by becoming obedient to the point of death, even death on a cross. Therefore God has highly exalted him and bestowed on him the name that is above every name, so that at the name of Jesus every knee should bow, in heaven and on earth and under the earth, and every tongue confess that Jesus Christ is Lord, to the glory of God the Father (Philippians 2:5-11). There is no greater example of humility than that. Jesus, who committed no sin of his own, willingly sacrificed his life to save us from our sins. If true humility can be found in any human heart, you can rest assured that it is a product of knowing Christ and becoming like him. It seems like that ought to be an easy choice. What a fantastic quote. I always think of the Apostle Paul when it comes to God humbling a person. Paul was right with God in a hurry! Thanks for the reminder. Thanks for visiting, Tom. It is a great quote. I always find it, well… humbling! Thanks for this, great article. I believe God is humbling myself right now. Job is also a great example of humility. For someone like myself who has always been a happy background person, I am now teaching regularly in the church, and get lots of encouragement from people, yet I find this makes me slighlty uncomfortable at times. This due in part to being put down a lot in the past, and therefore have no desire to be seen in a different light. I realise that for some who have low self esteem that there could be a tendancy to think more highly of themselves than they ought, but there are others like me, who find it harder to to do that. So would trust God that if He wants to raise me up, then hopefully I will have His confidence to do that. A good article and one that will help any Christian serious in their walk with the Lord. Lesson being that God will always work things out for our best either way, if of course we are obedient. That’s the great encouragement.